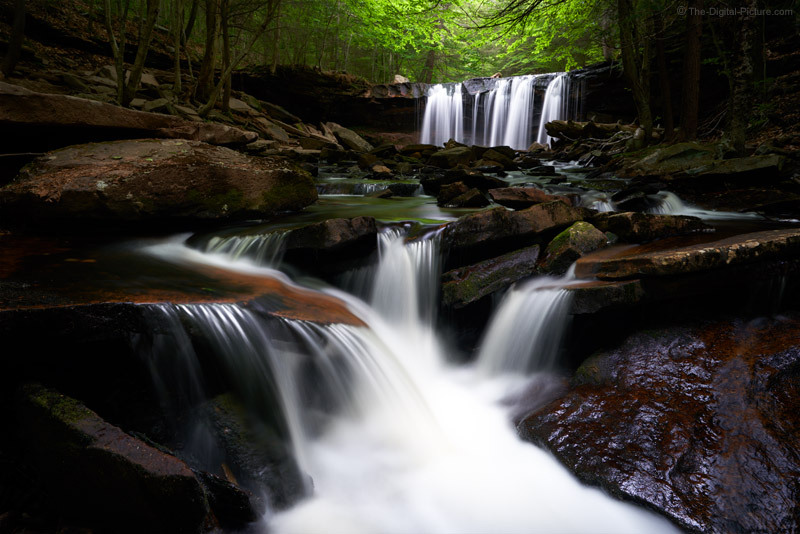 Oneida Falls is one of my Rickets Glen favorites and I always stop to photograph it when in this state park. Yes, I have numerous images from this location. But, different days bring differing water flows, foliage and lighting. And, I frequently bring differing gear and creativity. On this day, the excellent little Sony a7 III was what I was using and a compact Sony FE 16-35mm f/4 ZA OSS Lens was the lens option I selected from several I had along with me. This is a subtle HDR image and I captured enough bracketed exposures to significantly brighten the darker areas. However, I liked the natural brightness accentuating the near and distant falls (especially in higher resolution versions). Image quality test results showing resolution have been added to the Sony a7R III Review and the Sony a7 III Review (this review will be completed soon). 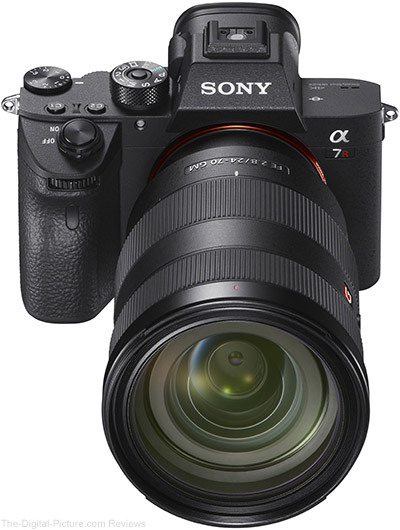 The Sony a7R III is in stock at B&H | Amazon | Adorama | WEX. Rent one from Lensrentals. 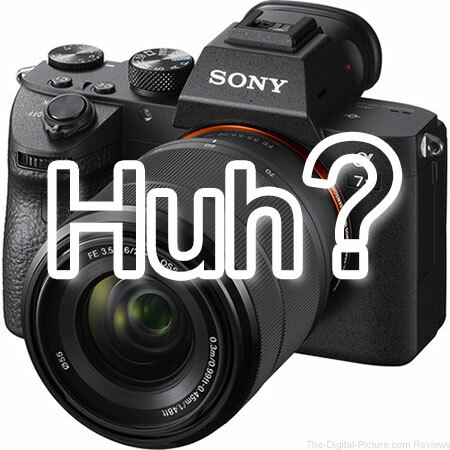 The Sony a7 III has been so incredibly popular that it is sold out everywhere. This camera is available for preorder at B&H | Amazon | Adorama | WEX. The a7 III is eBay, but at the premiums being charged, you should probably just get the a7R III. Preorder right now from one of the trusted retailers just mentioned to get the best spot in the a7 III preorder line. Or, rent one right away from Lensrentals. Have you been looking for the perfect sports lens to go along with your Sony a9? This may be just what you've been looking for. 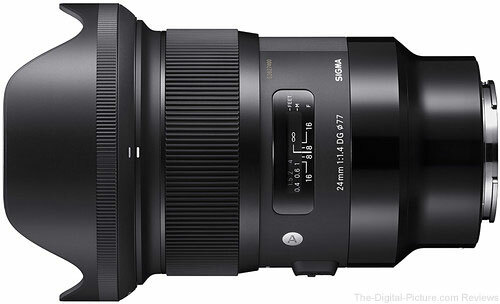 B&H has the Sigma 24mm f/1.4 DG HSM Art Lens for Sony E in stock with free expedited shipping. 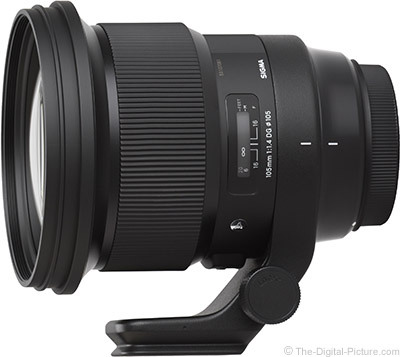 B&H has the Sigma 105mm f/1.4 DG HSM Art Lens for Nikon in stock with free expedited shipping. TOKYO - Nikon Corporation (Nikon) is pleased to announce the 37th Nikon Photo Contest. Held since 1969, the Nikon Photo Contest is a premier international photo contest that provides an opportunity for photographers around the world to communicate and to enrich photographic culture for professionals and amateurs alike. It has been almost 50 years since the first Contest was held in 1969, and over its long history, photographers from around the world have participated and shown their support for it. To date, more than 410,000 photographers have submitted over 1.62 million photographic works to the Contest, making it a truly international event. A total of 21,511 photographers from 170 countries and regions submitted 76,356 works to the previous (36th) Contest, marking a new record in terms of the number of countries and regions from which entries were submitted. Details including information on how to apply will be released on the Nikon Photo Contest website starting from September 2018. Canon Europe has launched its latest campaign, in collaboration with elite Parkour athletes Storror. Filmed in the historic city of Istanbul in Turkey, the campaign encourages people to try a new experiences for the first time and capture it on a Canon camera. London, UK, Monday 25th June 2018 – The challenge saw the seven-strong UK based group jump, vault and climb over a combination of obstacles, including the Galata Bridge, the domed cupola rooftops near Süleymaniye, culminating with a leap onto the roof of a passenger ferry, carrying them to the cargo seaport of Haydarpasa on the Asian side of the Strait, to successfully complete the challenge. John Russo has spent more than 20 years as a photographer to the stars. Over this time, he has perfected his approach to light and his ability to connect with people. The alignment of these two elements of his work has culminated in stunning celebrity portraits. B&H carries the Profoto D2 and Profoto light modifiers. The product of extensive research and testing, Sony’s new FE 400mm F2.8 GM OSS lens is the first large aperture super-telephoto prime to join the E-mount lineup. This exciting new lens produces brilliant image quality with extraordinary focusing speed and precision, while also boasting the lightest weight in its class and an extremely balanced design. It’s the ideal choice for professional sports, wildlife and nature photographers, and a perfect complement to Sony’s extensive lineup of high-speed E-mount bodies including a9, a7R III and more. 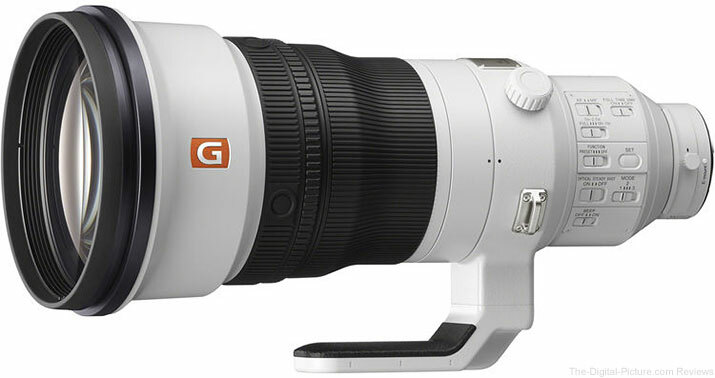 The latest system software update (Version 3.00) for a9 (ILCE-9) provides support for the new FE 400mm F2.8 GM OSS (SEL400F28GM) lens to optimize optical image stabilization performance, and enables continuous shooting with auto focus tracking, even when aperture is greater than F11. The update also provides added option to input the camera serial number to the Exif data, a feature that has been strongly requested by professional sports photographers and photojournalists. Additionally, several other updates to the a9 camera have been implemented with the new firmware, including improved auto focus speed in low light conditions, enhanced continuous AF performance when tracking a moving subject, and reduced release time lag when shooting with flash. Note: Preorder links will be posted to this site's news section when available. Nope, that's not a typo; you read the headline correctly. Sony has been a master of marketing over the past several years, but their latest stunt may be their greatest yet. Unbelievably, Sony found a half-bodied, floating man to be the centerpiece of their a7 III marketing campaign. Don't believe me? Well, we have proof. Check out the final official product photo found on the Sony a7 III + Lens Kit listings at B&H and Adorama (the same picture can be found in the body-only listing at B&H). Click on the photo so that it appears large and centered in your browsing window. Notice anything odd about the image? Why they didn't crop the image lower to showcase this interesting casting decision is unclear, but what the photo shows is pretty obvious. What we're seeing is an unprecedented levitation technology being utilized by a man with nothing below the jacket line. Note that this is as official as a marketing image gets. 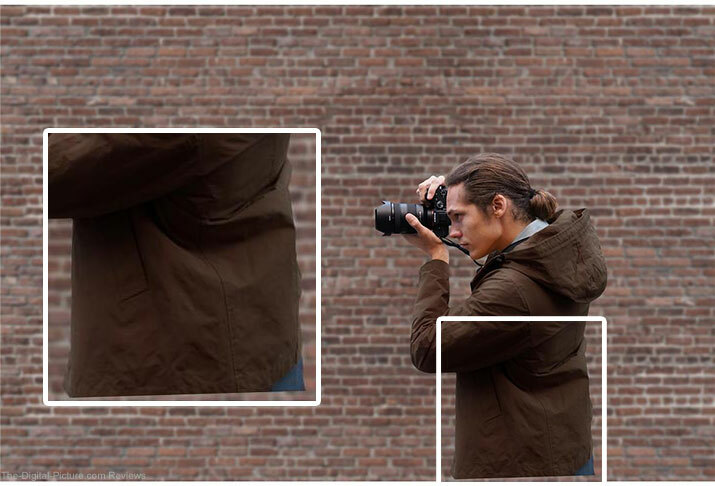 A cropped version of the same picture is displayed on Sony.com's a7 III page. We were so intrigued by Sony's casting decision that we decided to interview the now-famous brand amabassador, Kenny Torso, seen above. Q: So, Kenny, how did you end up doing marketing for the Sony a7 III? Q: That’s awesome. Did you get to use the camera much while shooting images for the marketing campaign? Q: Isn’t it kind of odd that Sony didn’t go all out in featuring your special abilities in the campain? I mean, being able to levitate is pretty rare. We wish Kenny the best of luck in his endeavors and look forward to seeing more (or, rather the same amount) of him as Sony releases future mirrorless cameras. Just posted: Breakthrough Photography Night Sky Light Pollution Filter Review. Check out this interesting tool for photographing the night sky in areas affected by light pollution (where most of us live). 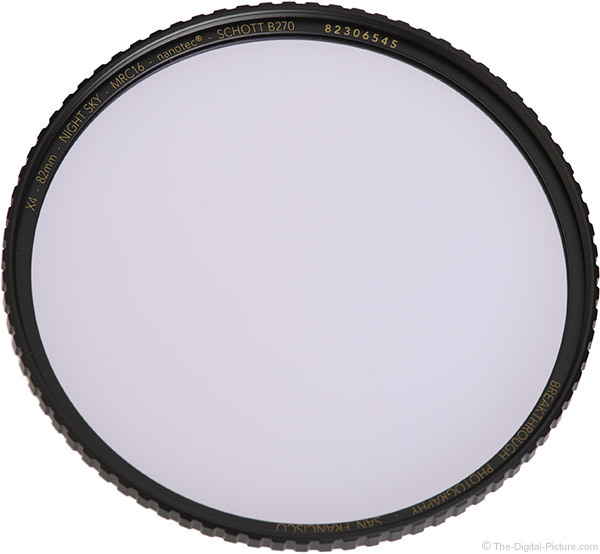 The Light Pollution Filter is in stock at Breakthrough Photography. What do you think? Are light pollution filters important for photographing the night sky? 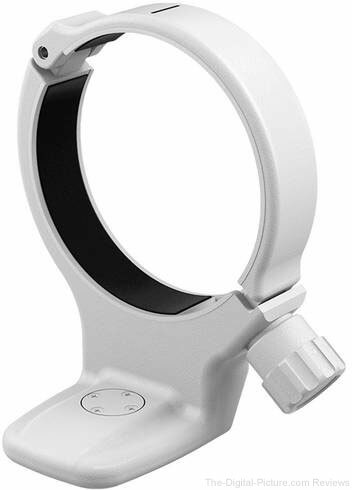 Adorama has the Canon Tripod Mount Ring AII(WII) in stock with free expedited shipping. 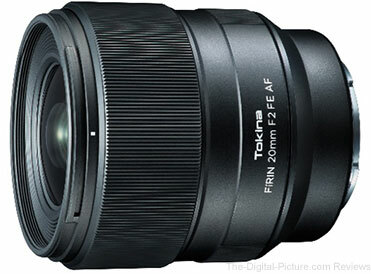 To celebrate the launch of new FíRIN 20mm F2 FE AF, we launched a great GIVEAWAY CAMPAIGN with a unique Grand Prize - one winner can get both Tokina FíRIN 20mm AF and MF versions! Experience the advantages of both lenses according to your shooting style and your video review will be shared on our channels for all Tokina fans to watch. The Second Prize is no less worth a try, as the winner will still have the chance to choose between FíRIN AF or MF version! And the Third Prize is also great as you can get one of Kenko best selling products: Kenko DG Extension Tube Set for Sony E-mount cameras. This great chance will last only until July 14th, and time is already running out. Access the campaign page NOW to get all necessary information and enter the GIVEAWAY. We wish you good luck! In Ep 121 David Bergman shows you what happens when you shoot through a lens that is detached from the camera body.